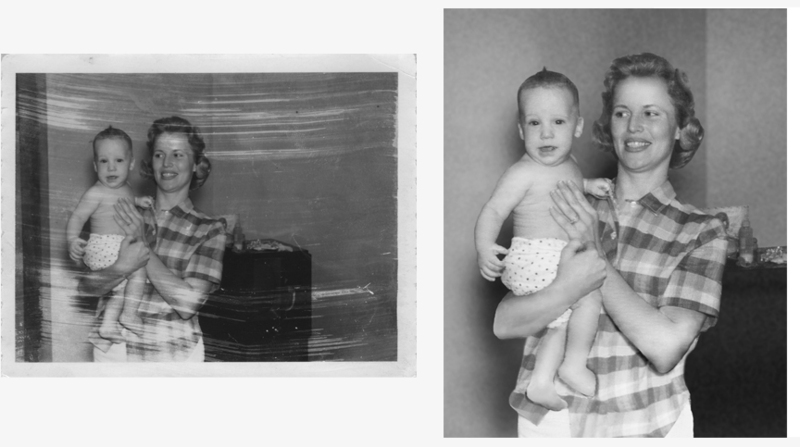 If you have a photo or photos that you want cleaned up, repaired, or altered, call me and I'll look at the work and give you a price. 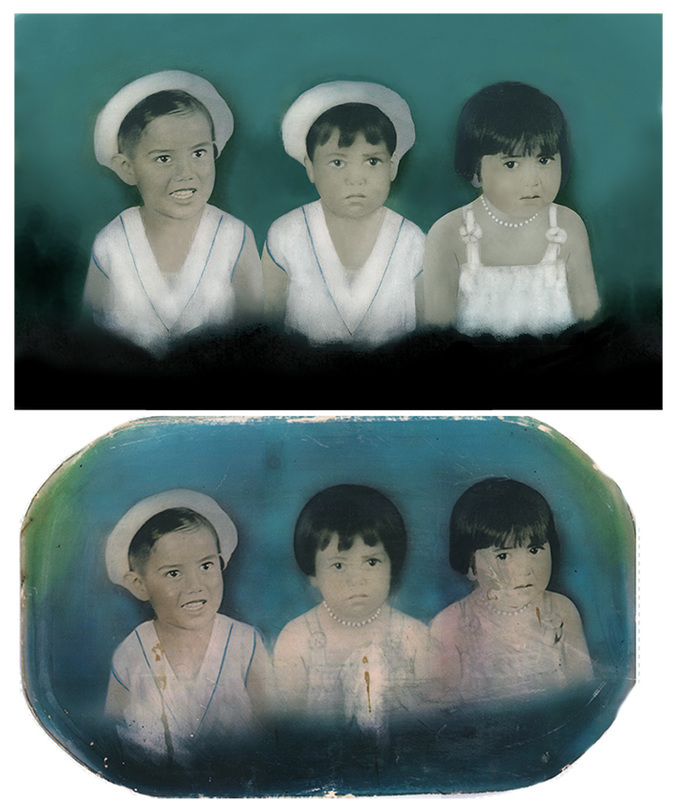 The restoration is delivered to you on a CD and you can print as many as you like of the finished work. The original remains untouched. 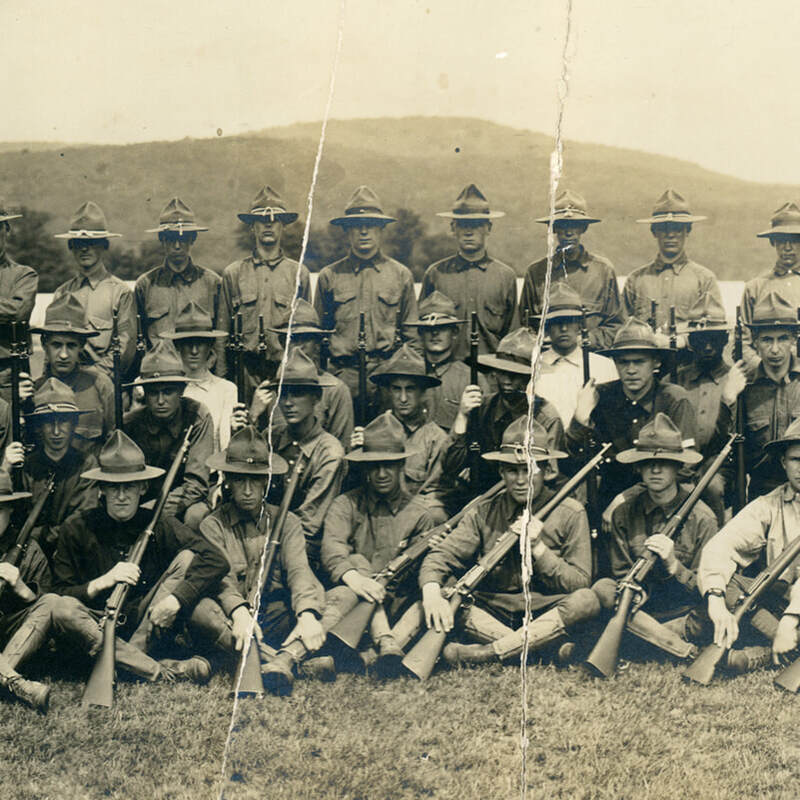 ​This three foot wide photo of the New York National Guard in 1915 was cracked in several places. Some of the faces had scratches obscuring them. The Captain is standing with his arms crossed next to the Sargent who is turned to the right so you can see his stripes. The Bugler is standing slightly apart from the others and is the only person smiling. ​The original of this photo was heavily airbrushed. This was a popular practice toward the end of the 19th century. You could be made to look perfect. I never alter the original intent of a photo while repairing damage. It is approximately 20x15 inches. ​This photos was a small one in a newspaper. I didn't over work it so it wouldn't look "restored". 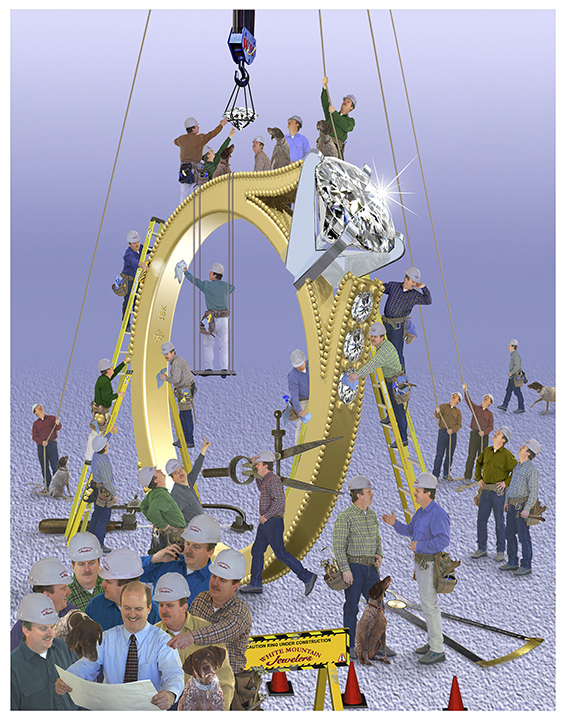 Delivered slightly larger than the original it provides the client with a reasonably representative image of a loved one. This is a Poloroid instant photo from when the photo had to be swiped with a fixative pad. 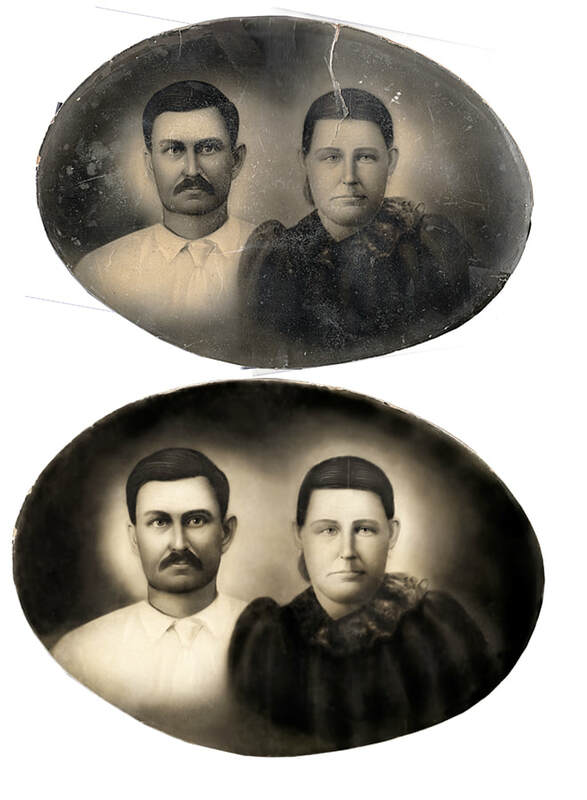 When it was not done carefully the photo eventual fades where the fixative was not placed. This one was easy because the most important parts and most difficult to restore, faces were not damaged. This is a painted black and white photo done around 1930. It is possible the painter was not the photographer since he thought the boy in the middle was a girl. Perhaps because he was a twin of the one on the right. 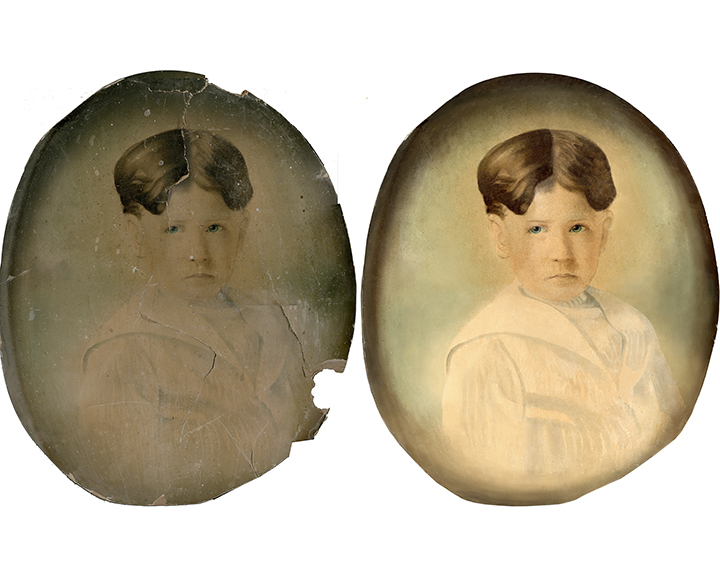 He painted the little boy as a girl and the family decided when I was restoring this from a photograph of a photograph that I should make him look like a boy again. 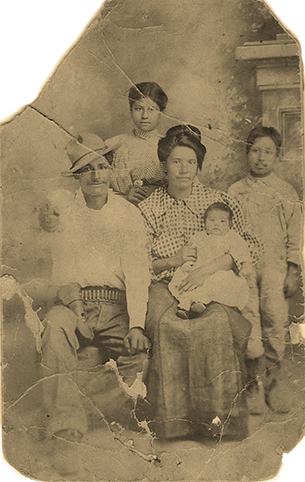 A faded photo which always takes me a while because there are so many colors, skin tone, and hair, to balance. 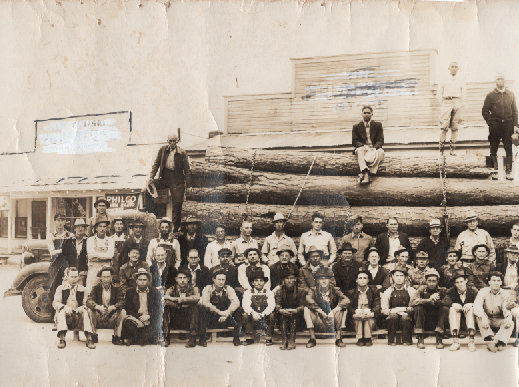 My Clients grandfather posed his lumber crews and office staff for this 3 foot wide photo. Sometime later, for reasons unknown, someone scratched out the signs on the buildings. I recovered the original lettering using color distortion and rebuilt the wood facades on the store fronts. 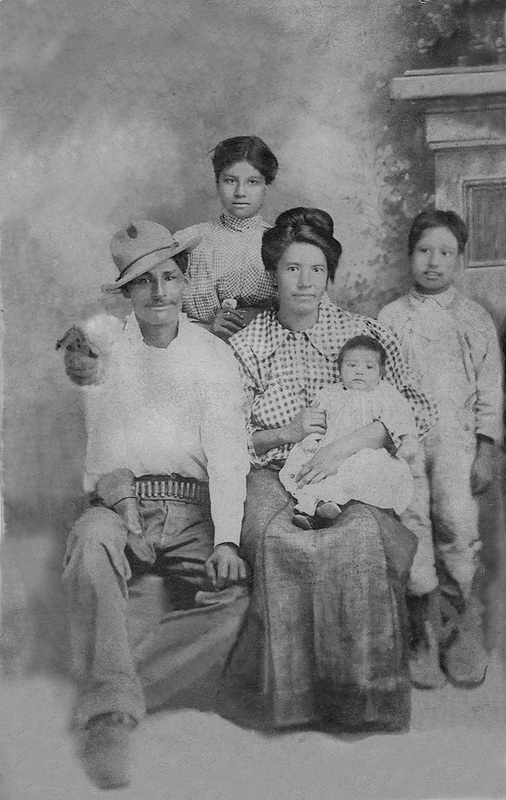 Great Grandfather displaying his gun with family. My clients grandmother is the baby sitting her mothers lap. 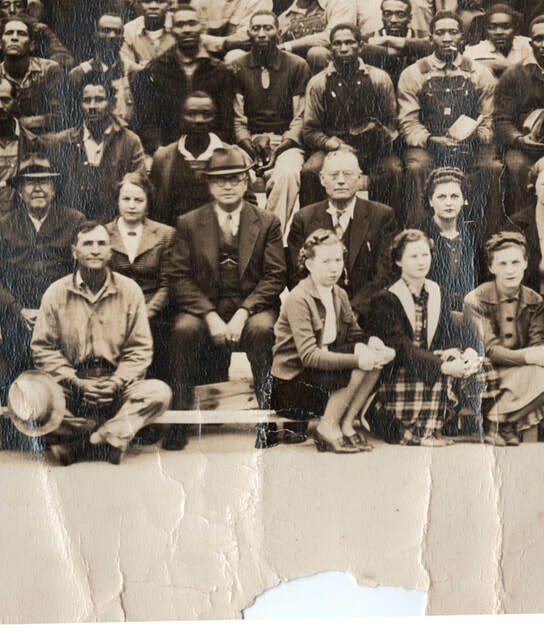 It's great when you discover something unexpected in restoring a photo. The gun was a surprise for both my client and me. 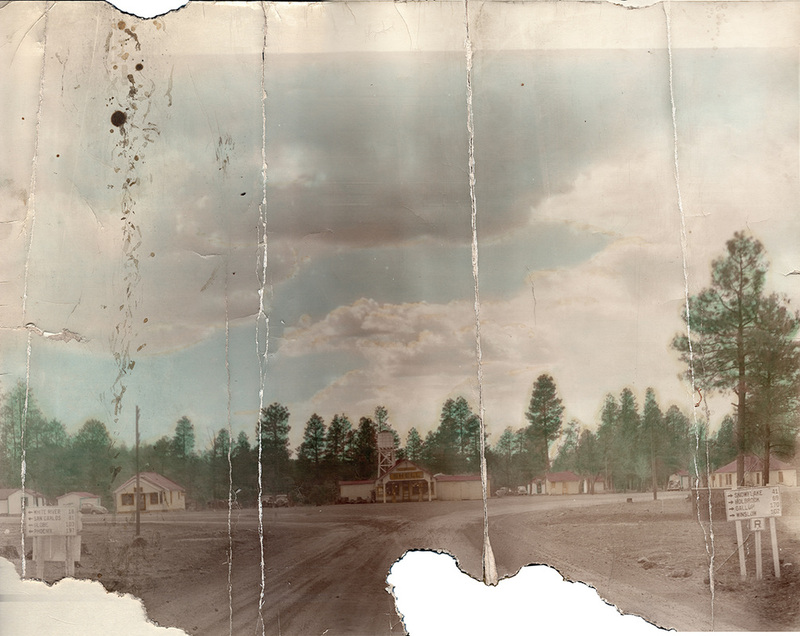 ​The photo below of Hon-dah Arizona on the White Mountain Apache Reservation taken in 1930 was restored for the Pinetop-Lakeside Historical Society. Hon-dah is about four miles from my home. 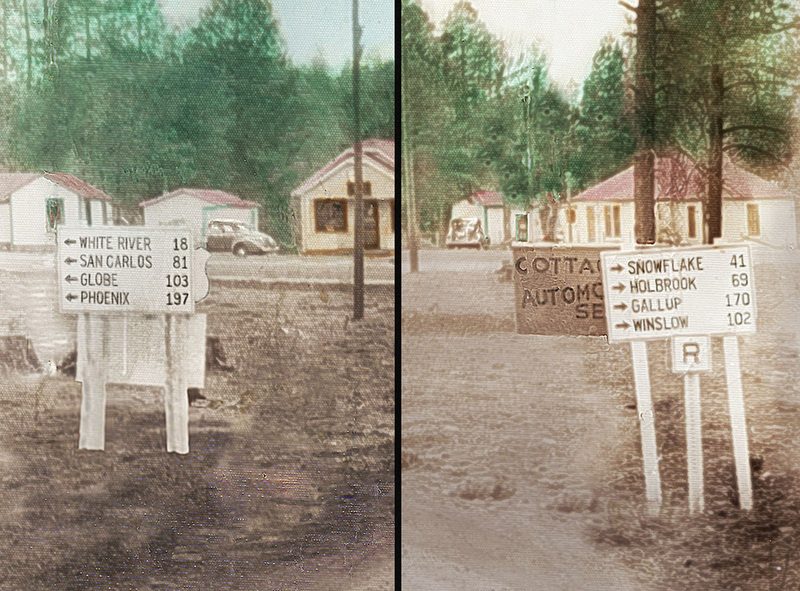 It's not a great photo, and was poorly hand colored, but it's historical significance lies in the signs that indicate distances to various towns. All travel between North Eastern Arizona and North New Mexico to Phoenix Arizona went through this intersection. Nothing in this photo except for the trees, is still there. It is now a large multi trafficlighted intersection with a large casino and convention center to the left. 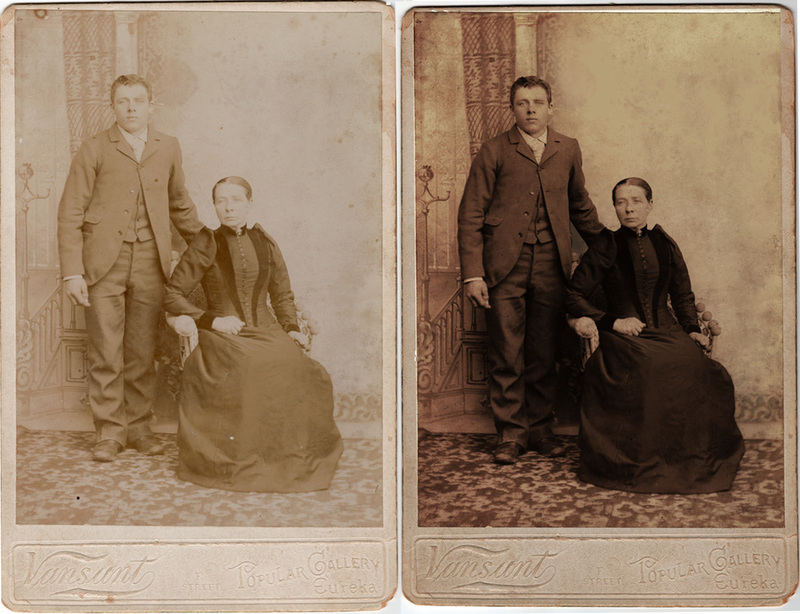 It is also a good example of the restoration of a badly damaged Photo. Show Low and Pason. 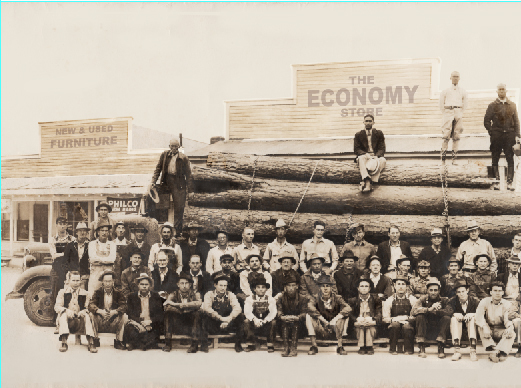 The first three, while growing communities of settlers, were either too small or too local to the signs to include. Payson, straight west from nearby Show Low was very isolated by rough roads with no bridges and would not have been considered a regular travelers option. 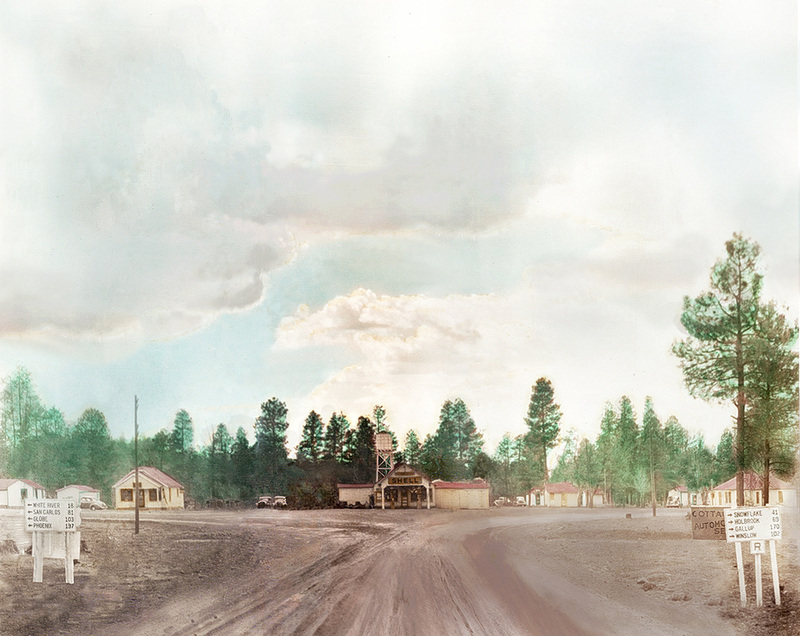 The road coming straight out of the picture toward the viewer leads to McNary which at the time was a very active lumber town with over a thousand residents. Beyond McNary the road led to Eager, Springerville and the rest of the White Mountains. The road to the left leads to Phoenix. 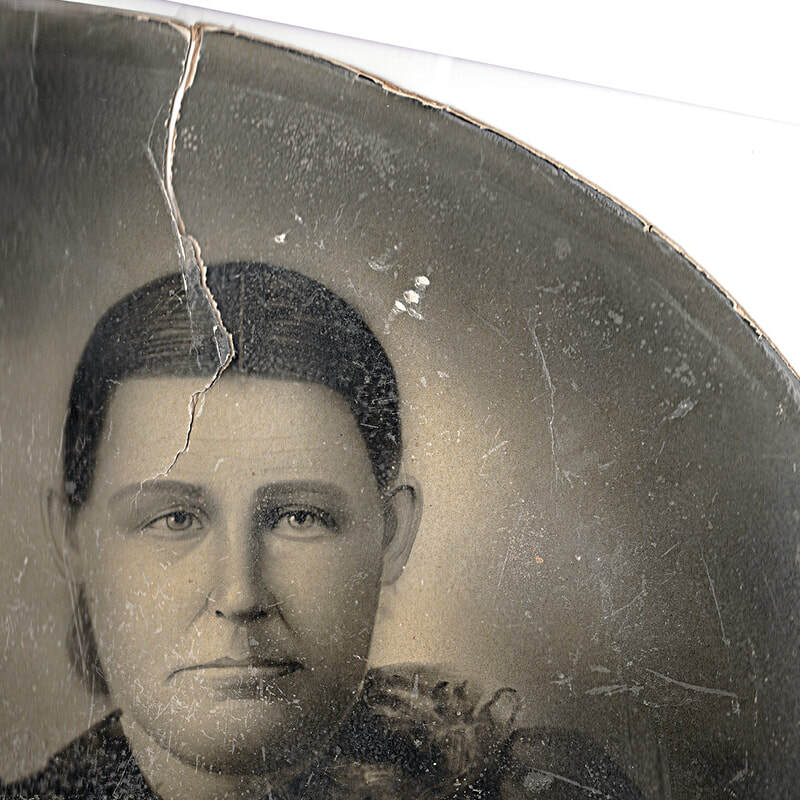 Many older photos back to the beginning of photography were frequently produced from large negatives and though faded still retain traces of image information that can be brought back. My clients father carried this photo in his wallet for 50 years. 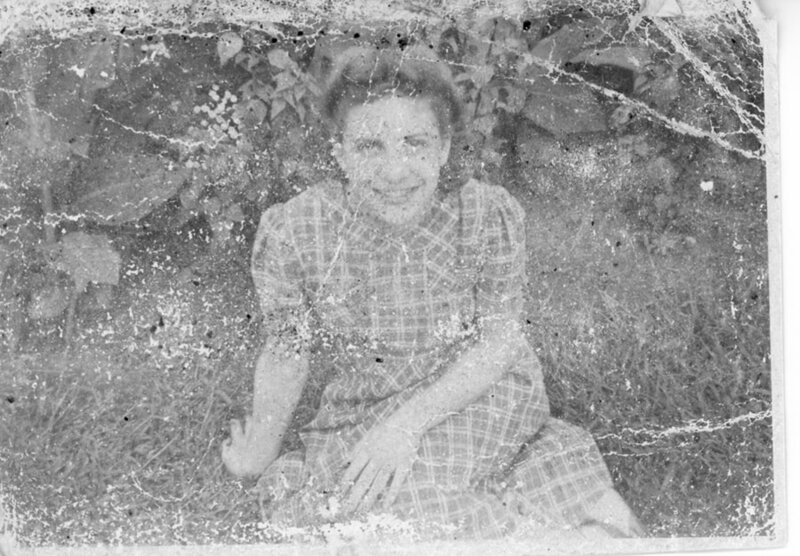 A fifty year old picture of my clients Sister. I removed a person and built the right side of photo to center the subject. Candid photos of a marriage proposal on the Ponte Vecchio Bridge in Venice Italy. She said yes. This was not a staged event so the photographer did not have time to compensate for backlighting. At their best, the photos are not very good, but they are extremely valuable to the client because of the subject and the moment. 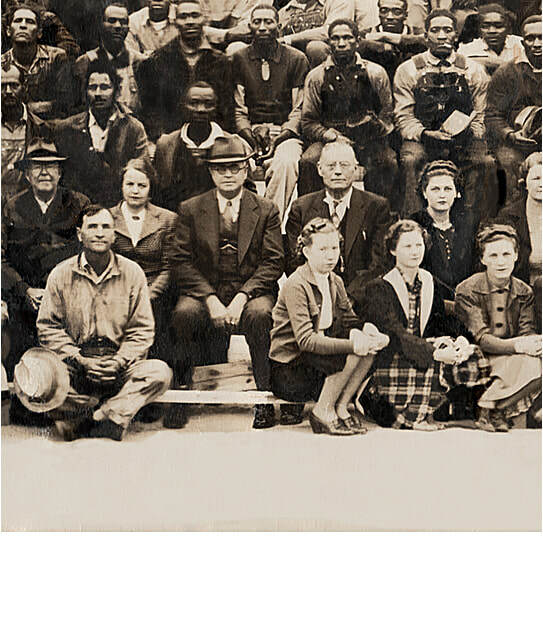 Because one of the photos showed the entire right side, I was able to remove the person standing next to them. 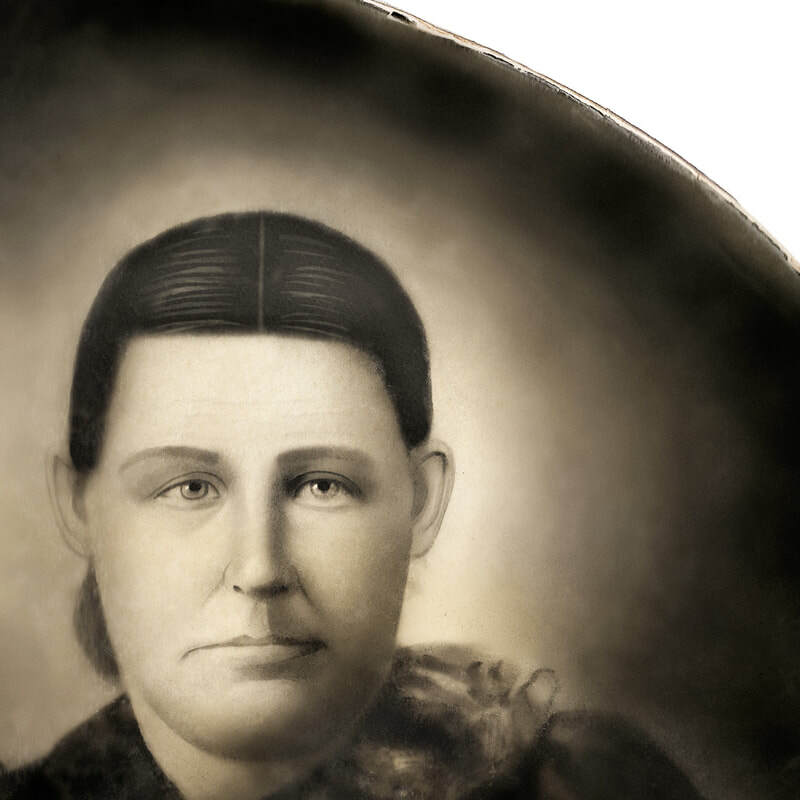 This document restoration was a big challenge. The El Zaribah Shriners Temple Charter had faded over 30 years. 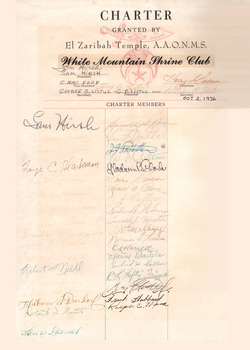 Some of the officers signatures at the top had been printed in with ball point pen after the fading occurred. I used color distortion [not shown] to bring out the faded signatures and recreated them pixel by pixel. 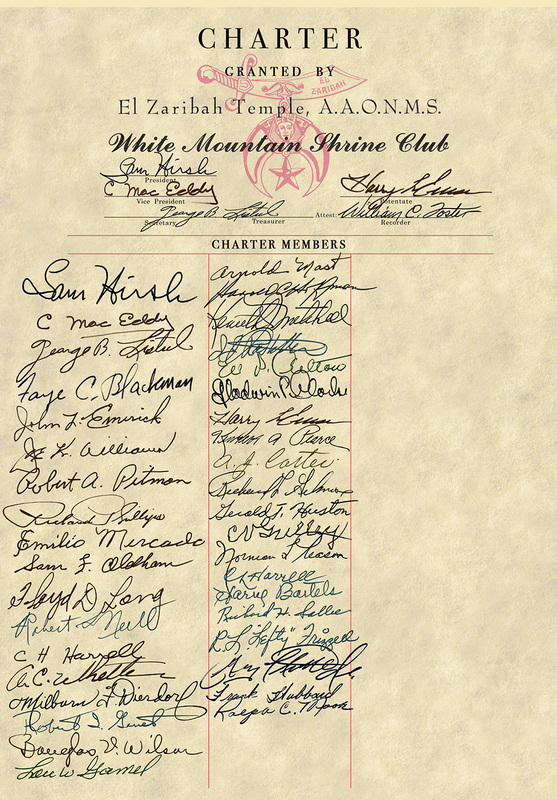 I replaced the ball point printed names of the officers with existing recreated signatures. 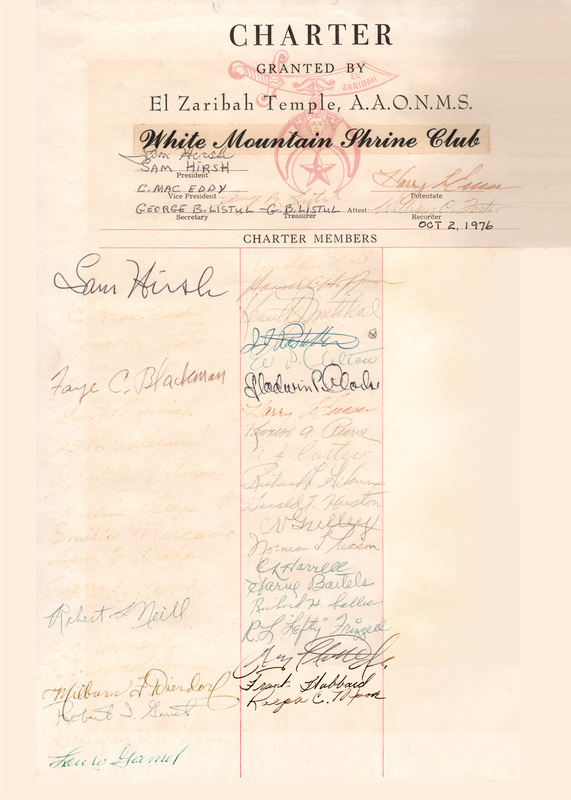 The color of the original inks and the variations in the pressure of the pens was duplicated, and a slight increase was added in the thickness of some lines. 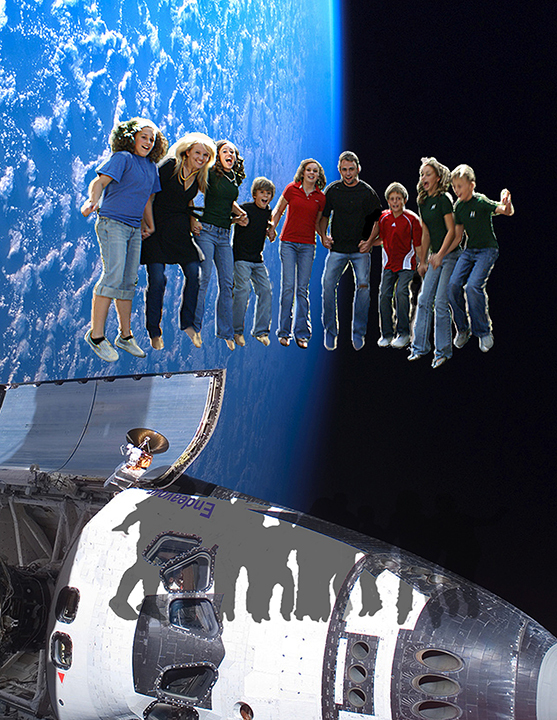 I caught one photo at a family reunion of all of the kids in the air on a large trampoline. I used a NASA photo and while it is very easy to obtain license from NASA, since I didn't, I did not charge for the photo It was just for fun. For students of Photoshop, this is a four layer illustration. Thirty two of Peter Tims of White Mountain Jewlers building one of his ring designs assisted by eight of his dog Cocoa. For students of Photoshop, this is a 300 layer illustration. Each person, dog, shirt, tool belt, tool, ladder, rope, helmet logo, etc are on their own layer. I shot over 400 images of Mr. Tims against white no-seam and resized them. He wore two different shirts for the shoot that I then changed the color of. Each Helmet has the White Mountain Jewelers logo on it. Peter's dog Cocoa in the lower left is wearing a diamond dog collar.